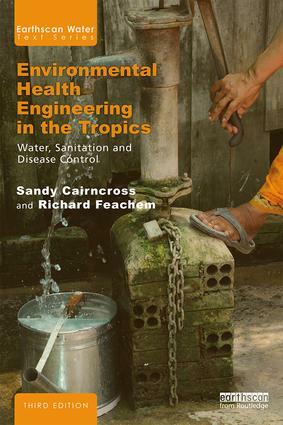 Sandy Cairncross is Professor of Environmental Health at the London School of Hygiene and Tropical Medicine, UK. He has worked as a water and sanitation engineer for the Governments of Lesotho and Mozambique, set up Guinea worm eradication programmes in West Africa with UNICEF and the World Health Organization (WHO), served on the Intergovernmental Panel on Climate Change (IPCC) and for nine years on the board of WaterAid and provided technical advice on water and environmental health to the UK Department for International Development (DFID) and other agencies. Sir Richard Feachem is Director of the Global Health Group at the University of California, San Francisco (UCSF), USA, and Professor of Global Health at both UCSF and the University of California, Berkeley, USA. He is also a Visiting Professor at London University, UK, and an Honorary Professor at the University of Queensland, Australia. From 2002 to 2007, Sir Richard served as founding Executive Director of the Global Fund to Fight AIDS, TB and Malaria, and Under Secretary General of the United Nations. From 1995 until 1999, Dr Feachem was Director for Health, Nutrition and Population at the World Bank. Previously (from 1989 to 1995), he was Dean of the London School of Hygiene and Tropical Medicine, UK. This series includes a wide range of inter-disciplinary approaches to the study of water and water resources, integrating perspectives from both social and natural sciences. It includes main and supplementary textbooks, and is aimed at the growing number of students taking advanced undergraduate and graduate level courses on water-related topics. Authors or editors of potential new titles should contact Hannah Ferguson, Editor (Hannah.Ferguson@tandf.co.uk).